How awesome is this? I would love to have this in our hallway so that I never have to mop up dirty bicycle track marks all the way through the house anymore! 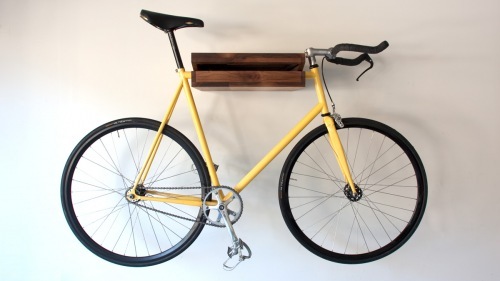 And you know you don't want to give up a chunck of your living room to store your bike either. This design solves it all in a rather elegant way, by raising your bike off the floor and providing a handy shelf for your keys, wallet, gloves, or whatnot. 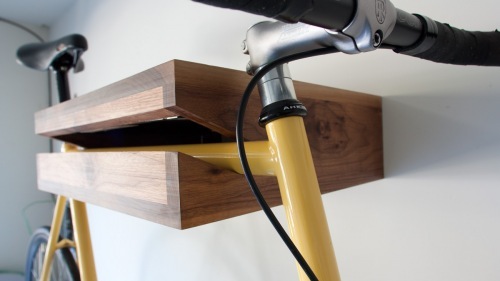 The slot in the walnut shelf is designed to handle most standard sized frames. So clever, I love it! 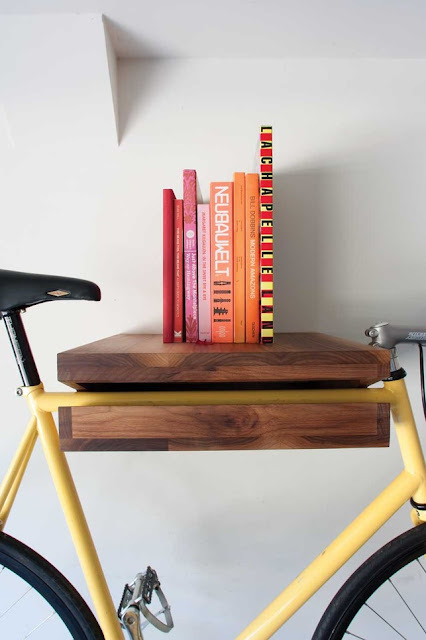 This bike shelf is designed by Chris Brigham of Knife & Saw, and it's been chosen as a finalist in the Dwell Modern World Awards. Go vote if you agree this hits all levels of awesomeness.